Jonathan Murden in UK Politics on 28 June, 2016. In the next week, the university will be holding open days for prospective students, aiming to demonstrate the merits of a Durham education. What they are unlikely to mention is the negative side of Durham University; the extortionate accommodation fees and their effect on both the student body and the local community. Luckily, it will be hard for prospective students to remain in the dark, due to the action of Durham students hosting the ‘Alternative Durham Open Days’. 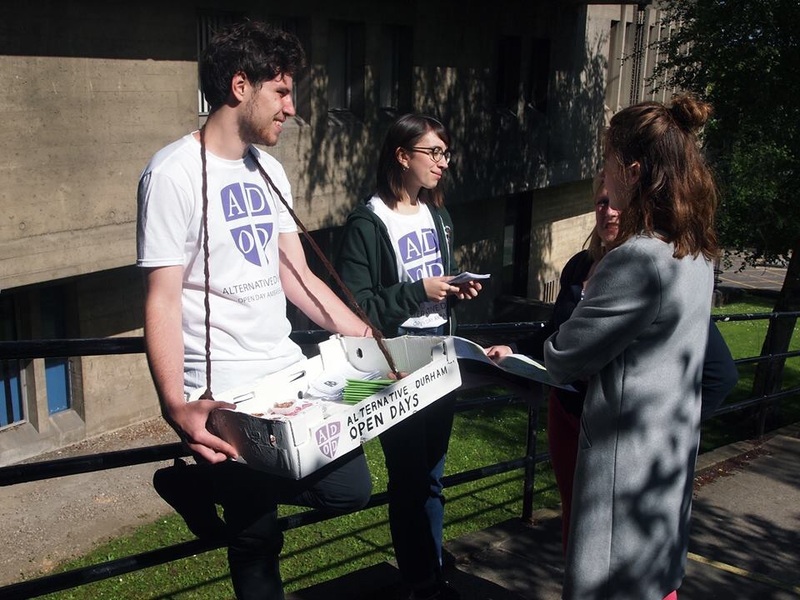 The Alternative Open Days are latest in a series of actions taken to try to force the university to address the issue of accommodation fees, supported by the Student Union and college representatives. In November, the ‘Funeral for Accessible Education’ involved over 300 students, and a petition launched at the same time received over 1000 signatures in just one week. And whilst the Vice Chancellor has offered ‘consultations’ with the Students’ Union and college representatives, it remains unclear how this has in any way addressed the issue. Accommodation fees have increased by 20% in the past three years, and next year they will be over £7000 (per annum). Such high fees make a Durham education inaccessible to students from lower income households, and it is difficult to justify this when one considers that one third of college rent is spent on ‘capital and borrowing expenditure’. Furthermore, the university does not pay all of its staff a living wage, despite the proven benefits for local communities, and increases in fees push up the price of local rents too. The university does not recognise these detrimental effects of its high fees on the local community, but as the largest landlord in the city, it needs to face up to its responsibilities and its influence. There is also the issue of international fees. In previous years, these were steadily increased by approximately £700 a year, and international students were not informed of this prior to accepting their place at Durham, causing many of them great difficulty in paying for their time here. In response to pressure from students and the Students’ Union, the university fixed international fees at the same rate throughout one’s degree, however, this was a hollow gesture, as at the same time, they raised fees by £2000 at the point of entry. Ultimately, this has the same effect – cutting off the possibility of a Durham education from those international students unable to afford it, disproportionately affecting students from lower income backgrounds. It is highly unlikely that prospective students will hear about such issues on the official Open Days. However, the Alternative Open Days are not aimed at disrupting the official Open Days, but rather at targeting their unequivocally positive marketing in an attempt to get the University to freeze accommodation fees at their current rate – which, considering they are currently the highest in the UK, and 31.84% higher than those at York or Newcastle, is not an unreasonable demand. Ambassadors will be wearing Alternative Open Day t-shirts and handing out prospectus’ and refreshments, and they will be willing to answer any questions they are asked. And they will answer them honestly – the aim is not just to slag off the university. Ambassadors have been told that if they have something good to say, they should say it. Nonetheless, hopefully the Alternative Open Days will highlight to prospective students that not everything is as rosy as the official Open Days might make out. Accommodation fees and international fees are not the only issue on the Alternative Open Days agenda. They also intend to talk to prospective students about the problems of student safety, sexual assault, and the university’s investments in fossil fuel companies, military contractors, and arms dealers. Nobody wants to put off prospective students from applying to Durham or accepting offers from the university. But people should know what they’re getting into. As fantastic as Durham is, it isn’t flawless. One volunteer said “It’s important to fight for an institution which gives the same chance to everyone to make those memories, meet those people, and go those places. At the moment, Durham University is a long way from that.” Of course, the Alternative Open Days won’t turn things upside down over night. But it’s a step in the right direction.